Josh Adler came to my home and cleaned all my upholstered furniture.My furniture had not been cleaned in years and I wanted someone I could trust in my home and with furniture with older fabric. He was fantastic. Josh was on time and called just a few minutes before he arrived to ensure that we were ready for him. I have several different types of fabric on my furniture and much of it is 10 years or older. He checked all the fabric and made sure that his cleaning process would not damage anything. My furniture looks bright and better than ever. He's considerate, knowledgeable and thoughtful of us and of our home. He delivered the service at the price he quoted and never applied any pressure to purchase anything other than what I wanted.Based on Josh's service, I would recommend him to anyone who needed furniture, carpet cleaning or area rug cleaning! This is the 2nd time I have had Josh come out to clean my carpet. Like the 1st time, my carpet was thrashed but he actually made it look GREAT! Now I don't have to be embarrassed when my daughter, son-in-law, and the grandkids come for Christmas!! I was very pleased with the service Legacy Carpet Cleaning provided. Josh comes from 4 star carpet and restoration, he grew up in the business. His father retired and Josh has started his own business. 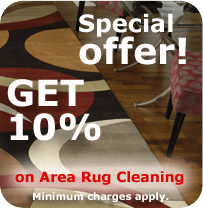 I have to say, he is very personable and cares about providing a quality job.I had 4 area rugs, he took to be serviced in a specialized facility. He also steam cleaned an area in my house, it came out very nice.I will call Legacy in the future and also recommend them to friends and neighbors. Josh was very professional, on time and did an amazing job on our creme colored carpets. His rates are very reasonable and worked hard until the carpets looked like new (we have two young kids and a dog that comes in occassionally and so our carpets were looking really dirty)I've had really bad bait and switch experiences from other carpet companies and its not worth the hassle to try and 'save' some money. Great service and will definitely use his company again in the future! I originally had my carpets spot cleaned by 4-Star over a year ago. Since then the original owners son, Josh, has taken over and is still providing EXCELLENT service for the new company, Legacy. I had several problem areas in my condo that he took care of this morning as well as cleaning the rest of the house. He was very good and explained what the steps he would be doing the entire time. I will definitely be using Legacy for all future carpet cleanings.